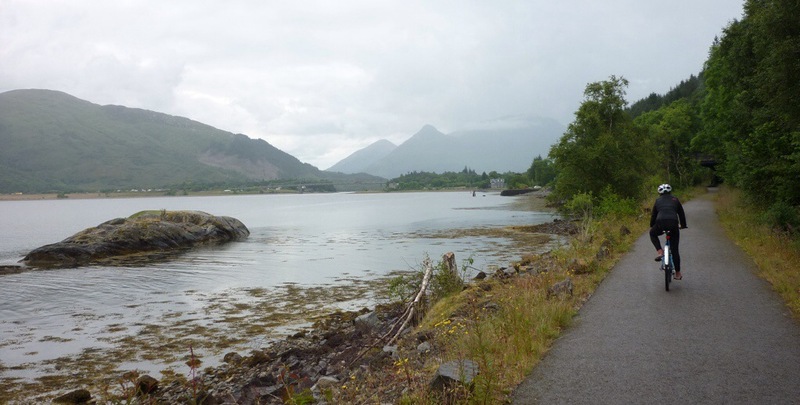 Cycle Route 78 is entirely off road from Cuil Bay to Ballachulish and much of it is along the old Oban- Ballachulish branch line which shut in 1966. 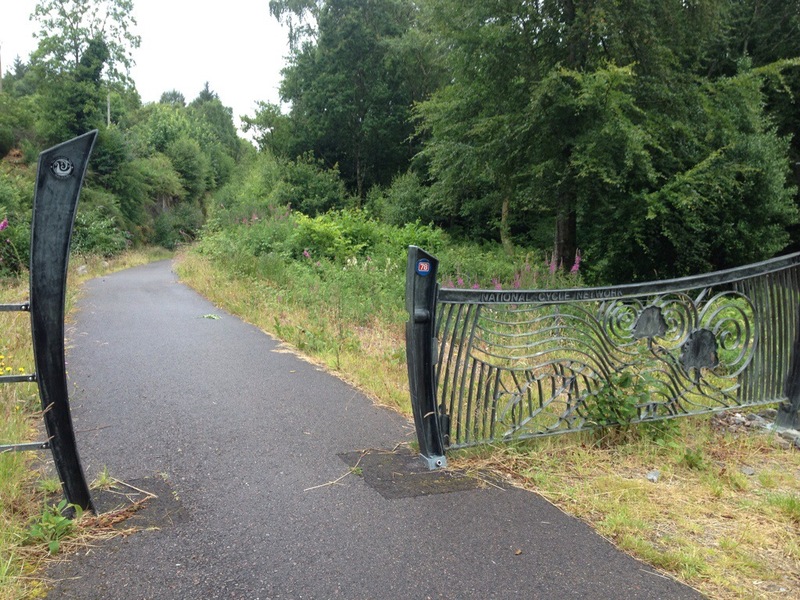 The plan is to extend the cycle way off road all the way to Oban but there seem to be some difficult negotiations with land owners along the way (see part 2 of the story) and so there are some bits that are still on the main road. 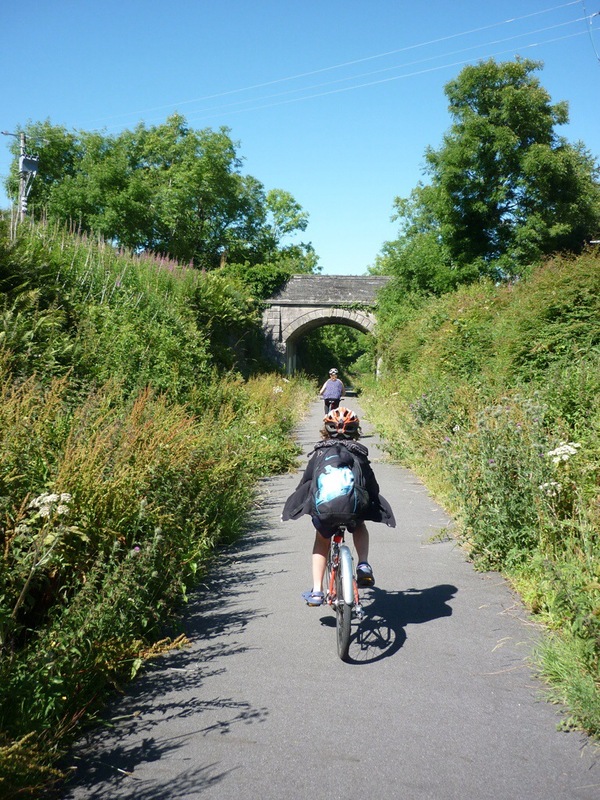 However the route we took on day one of our family cycle adventures was one of the nicer routes I’ve done and perfect for a bike with the kids, about 7-8 miles each way. We started at Cuil Bay and cycled along the minor road to a crossing with the main road which took us through fields and across a beautiful new wooden bridge curving elegantly over the river Duror. Cycling past banks of foxgloves and meadowsweet, the path wove between fields and then onto the old railway, through cuttings and under a viaduct that must have once taken a road or another railway. 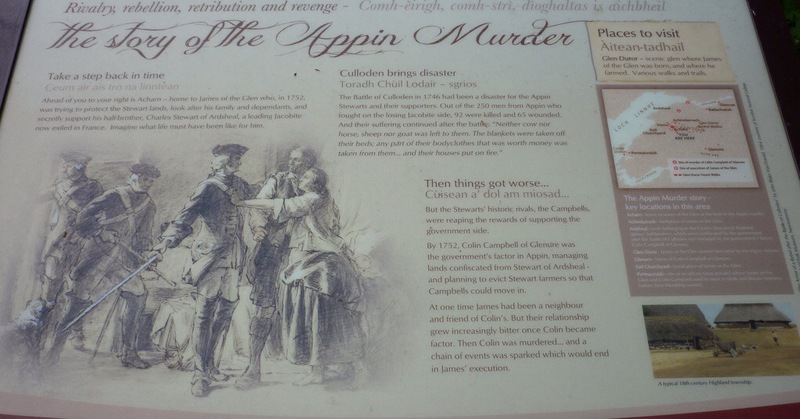 In Duror a panel told of the connections of the area with the Appin murder the inspiration for Stephehson’s classic novel ‘Kidnapped’. A cycle up the glen would have taken us to the birthplace of James of the Glen, the subject of that most infamous miscarriage of justice. Passing Duror campsite and some gypsy caravan glamping we were back on the disused railway again, following the contours of the vast shoulder of Beinn a Bheithir, the Ballachulish Horseshoe. The track leaves the railway to climb up for a splendid view of Loch Linnhe and the architectural copses of trees on the Ardsheal estate, before a, rather-too-steep decent takes you to the Holly Tree hotel (the perfect stop for lunch and a swim) and then back onto the old railway now running along the shoreline. 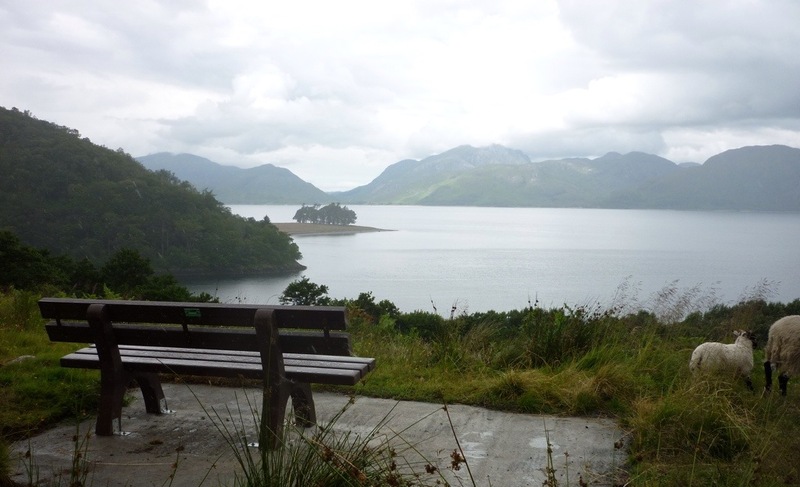 The views arcross to Ardgour and Morven were divine, and later there were views of the pap of Glencoe and hints of larger mountains behind in the cloud. 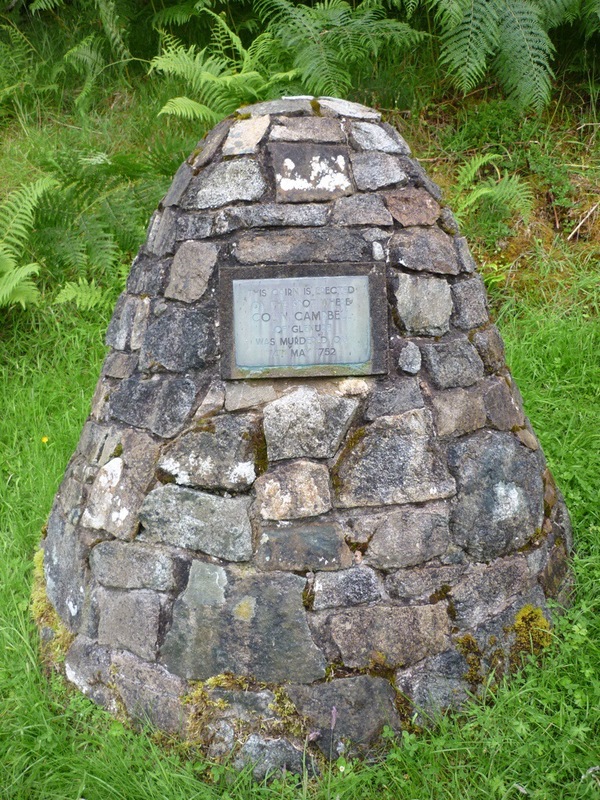 We made a short detour up into the forest at Letir Mhor to see the monument at the spot where Colin Campbell was murdered. While we stopped for water we were passed by two ladies on low-slung trikes. Each was holding an umbrella spray painted silver. Kit and provisions were piled on to the back of each bike and while one had a pack of warburtons sliced bread bungeed to the top, the other trailed some Tibetan prayer flags. 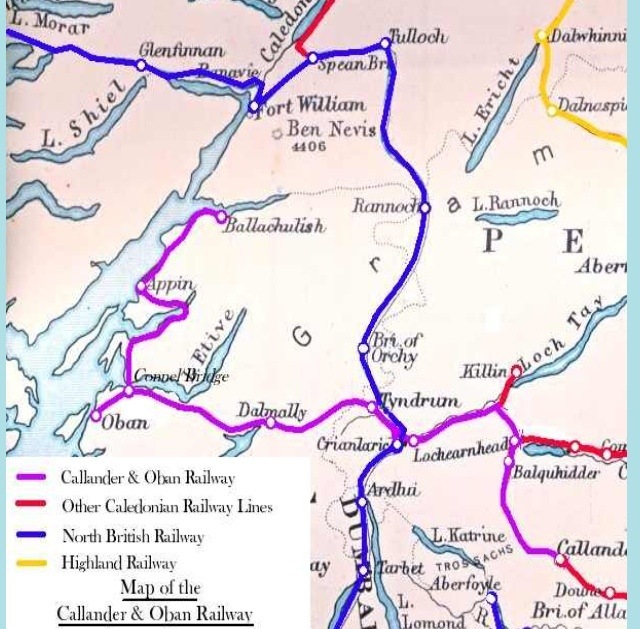 The final four miles of the route is alongside the road from South Balachulish to Glencoe. Amazing views of the mountains of Glencoe looming ahead was rather distracting given the very fast and busy road the track runs alongside. 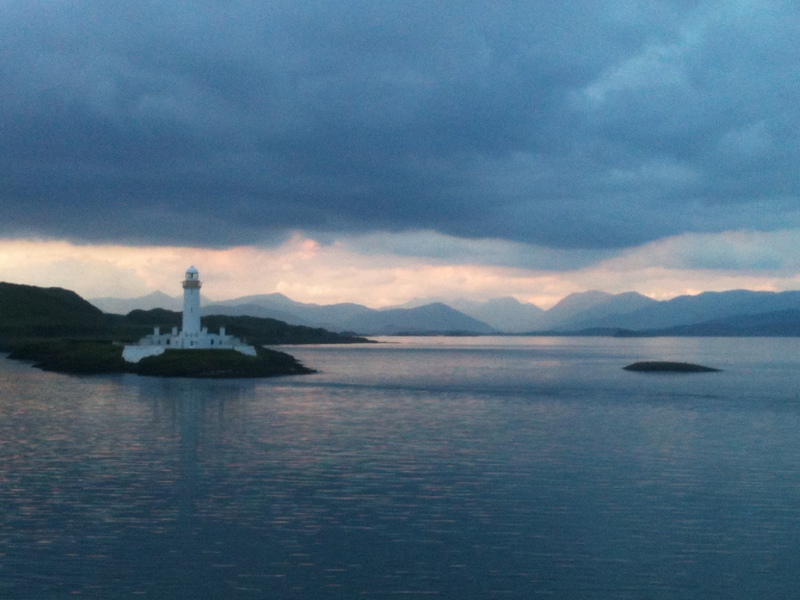 However, all in all it was a perfect family cycle ride. We rode back for a very deserved dinner and swim at the Holly Tree.